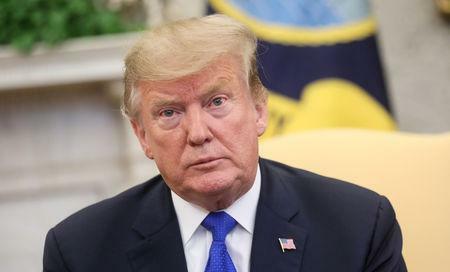 WASHINGTON/BRUSSELS/BEIJING (Reuters) - U.S. President Donald Trump's blunt-force use of tariffs in pursuing his "America First" trade agenda has angered many, from company executives to allied governments and members of both parties of Congress. But there's one effort which has drawn broad support from those who oppose him on almost everything else - his push to force Beijing to change what are widely viewed as China's market-distorting trade and subsidy practices. As U.S.-China talks to end a trade war reach their endgame, politicians, executives and foreign diplomats are urging Trump and his team to hold out for meaningful structural reforms in China to address entrenched problems in the relationship that hurt U.S. and other foreign companies and workers. Trump's trade war "has let the genie out of the bottle" by lifting expectations that the trade war will force China to reform policies that businesses and foreign governments regard as unfair, said Steven Gardon, vice president of indirect taxes and customs at Lear Corp. Gardon's firm is an automotive seating and electrical supplier with plants in 39 countries, including the United States and China. "Now that all these issues have been raised, there's a lot more domestic political support to address these issues, and I don't think you can pull back from that," Gardon said at a Georgetown Law School forum this month. "There's now pressure politically that they have to be addressed for the long term." Gardon's comments reflect a broad shift in U.S. and international business sentiment towards China's economic and trade policies, one that is aligned with Trump's goals, if not his tactics. Trump's trade team say they are in the final stages of negotiating what would be the biggest economic policy agreement with China in decades. U.S. Trade Representative Robert Lighthizer and Treasury Secretary Steven Mnuchin head to Beijing this week to try to accelerate talks with Chinese Vice Premier Liu He. Liu is set to travel to Washington for another round of negotiations in early April. Eight months into the trade war that has disrupted the flow of billions of dollars of goods between the world's two largest economies, it is unclear if a deal acceptable to both sides can be done. China's President Xi Jinping is seen as reluctant to make economic reforms under pressure from the United States, and Trump has said he may keep tariffs on Chinese goods in place for "a substantial period" even if a deal is struck. Xi may find it easier to live with the tariffs Trump has imposed on trade than to change China's model for economic development. As part of a deal, Beijing has offered to make big-ticket purchases from the United States to help reduce a record trade gap. Trump's team has said those purchases would be worth more than a trillion dollars over about six years. While big Chinese purchases might be tempting for Trump's administration, they would do nothing to address what U.S. firms competing in China or against Chinese firms say are structural problems with a system stacked against them. The United States complains China engages in systematic intellectual property theft, forces foreign firms to give up trade secrets for market access and spends huge sums subsidizing its own industry. Redressing those complaints would require policy reform at the highest level from Xi and China's ruling Communist Party. A survey released by the American Chamber of Commerce in China in late February showed that a majority of member U.S. companies supported increasing or maintaining tariffs on Chinese goods, and nearly twice as many as last year want the U.S. government to push Beijing harder to create a level playing field. The U.S. tariff demands have even encouraged some reform-minded Chinese officials and private-sector business executives to call for a faster pace of reform in China as it celebrates the 40th anniversary of its first steps toward capitalism. Lighthizer told lawmakers in late February that Chinese-American business people in particular have urged him to "hang tough" in the talks and not to "sell out for soybeans." When Trump delayed a threatened tariff increase well before a March 1 deadline for a deal, he stoked fears that he may be swayed by the big purchase order and leave longstanding structural problems unresolved. Since then, a steady drumbeat of lobbyists, company executives, foreign diplomats and U.S. lawmakers from both parties have urged Trump to stay the course on his structural demands. Representative Kevin Brady of Texas, one of the most pro-trade Republicans and a critic of Trump's tariffs, recently joined that call. "While we want China to buy more U.S. goods ... it's even more important for us to hold China accountable to meeting high international standards on intellectual property rights, subsidization, overcapacity, and the other structural ways in which China distorts the global economy," he said at a House Ways and Means Committee hearing just days after the tariff delay was announced. Last week, Senate Democratic leader Chuck Schumer, a longtime China trade hawk, took to the Senate floor to urge Trump not to "back down" and take a deal based largely on Chinese purchases of American soybeans and other goods. On Thursday, Schumer tweeted: "Now's not the time to drop $200B in tariffs just because China's close to a deal, @realDonald Trump." European Union members, traditional allies of the United States, are still smarting about the steel and aluminum tariffs Trump imposed on imports into the United States last year. The EU is also worried that Trump will impose duties on autos. But the bloc shares many of the same frustrations over China's technology transfer policies and market access constraints. "We get complaints every day from our companies," one European official told Reuters in Beijing, noting that despite repeated pledges from the Chinese government to make life easier for foreign companies, little had changed. EU trade commissioner Cecilia Malmstrom's assessment of China's behavior sounds almost like it was written by the U.S. Trade Representative's office, charging that China has abused global trading rules. China has "blurred the lines between state and private sector. The state has undue influence," she said in a Washington speech this month. "Intellectual properties of companies are stolen. State subsidies, direct or indirect, are common. And these impacts are felt at home and abroad." Malmstrom says that while the U.S. and EU "agree on the diagnosis," they differ on tactics, and she argues for a more multilateral approach, citing the EU's work with the United States and Japan to address the issues through reform of World Trade Organization rules. 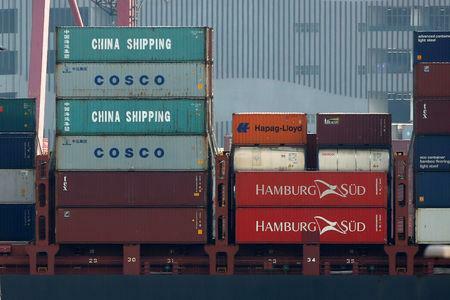 Some worry that Europe could lose out if Washington and Beijing strike a deal to purchase billions of dollars more in products to try to shrink the U.S. goods trade deficit with China. "If China is buying more from America then inevitably it will buy less from Europe," a second European official based in Beijing said, adding that could in particular affect large European multinationals. But European diplomats and officials acknowledge a begrudging support for Trump's goals, even if they are repulsed by his blunt tactics. Many are secretly rooting for his success. "We are against unilateral measures, but nobody is exactly sorry for China. On content we think he does have a point," said one EU diplomat who spoke on condition of anonymity in Brussels. "Beijing has to understand that without reform, the system could just stop working." Trump administration officials insist that he has gotten the message and is holding out for "structural changes" to the U.S.-China relationship, along with an enforcement mechanism that holds China to its pledges. Clete Willems, a White House trade adviser, told the Georgetown Law School forum that Trump is determined to fix problems with China's trade relationship that he has railed against for years, long before he ever sought office. "The notion that he's just going to suddenly accept a bad deal is totally inaccurate. The president is going to walk away from bad deals," said Willems, who announced on Friday that he is leaving the White House for family reasons.